Volunteering impacts every aspect of Irish society with volunteers supporting the Government’s work in a variety of ways. Apart from these direct benefits, volunteering provides a host of indirect economic and social advantages. Charities across the country simply could not survive without the support of volunteers. These are small actions that require little financial investment but have the potential to reap great rewards. You can read more about these asks in the enclosed election manifesto. Eileen first heard about the Louth Volunteer Centre when she was attending at the local employment service’s Jobs Club course. She had been unsuccessful in her job search for quite a while, so it was when Kayleigh, Louth Volunteer Centre's Volunteer Liaison Officer, pointed out that ¾ of employers will actually hire someone with volunteering on their CV over someone who hasn’t volunteered, that something clicked. Kayleigh had shown the Jobs Club a list of different volunteering opportunities available to everyone. After hearing about all the volunteer opportunities available to her, Eileen signed up with Louth Volunteer Centre that day. After two weeks, she was contacted by the organisation she applied to and started working there after applying for the role. At the time, Louth Volunteer Centre was looking for an office administrator and after an interview, Eileen was successful and got the job with them. She has been volunteering with Louth Volunteer Centre among other organisations including fundraising, stewarding and event for over two years now. If you, like Eileen, might like to do something with your free time or wishing to maintain particular skills and would be interested in volunteering, please get in touch and we will have a chat about relevant opportunities in your area. Two fantastic groups of Volunteers brought the Christmas Spirit to the RAPID areas in Dundalk in the week leading up to Christmas. This fantastc initiative was supported by Louth County Council and Louth Volunteer Centre. On 20th December, Craobh Rua (a youth project based in Doolargy Avenue) welcomed Santa and Mrs Claus to their community house and opened its doors to all of the children in the area. 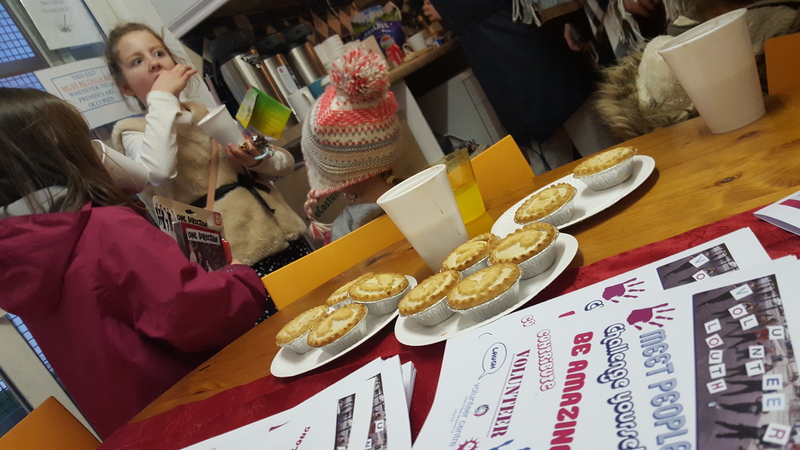 Volunteers offered Hot Chocolate, Mince Pies, Xmas Presents and photos with Santa to all wno attended, and the initiative raised much needed funds for the community. This event will hopefully be the start of numerous volunteer led events in the area in the coming months. 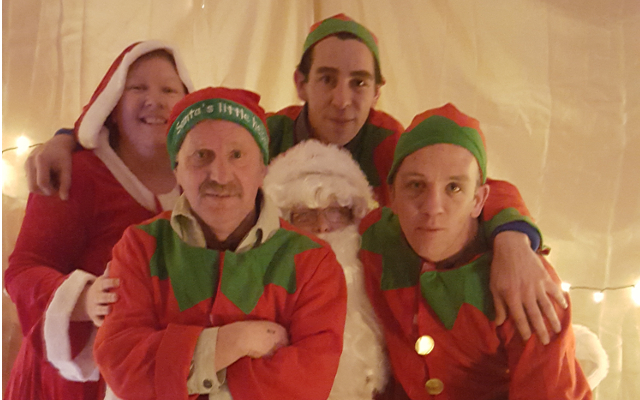 While on the 22nd December, volunteers in Cox's Demesne transformed the Redeemer Family Resource Centre into a fabulous Santa's Grotto for the day, where Santa, Mrs Claus and the elves (Pictured, left) spent the day meeting local children and giving gifts. This was on the back of a number of successful volunteer led events in the Cox's area including a family fun day, haunted house and community clean up. 2015 Vounteer of the Year Announced!